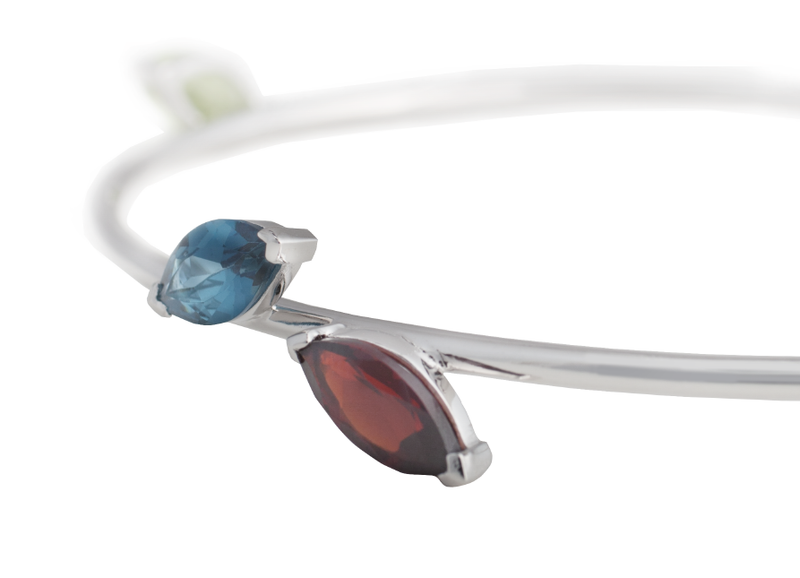 The five gemstones grace this delicate bangle, which caresses the wrist smoothly. 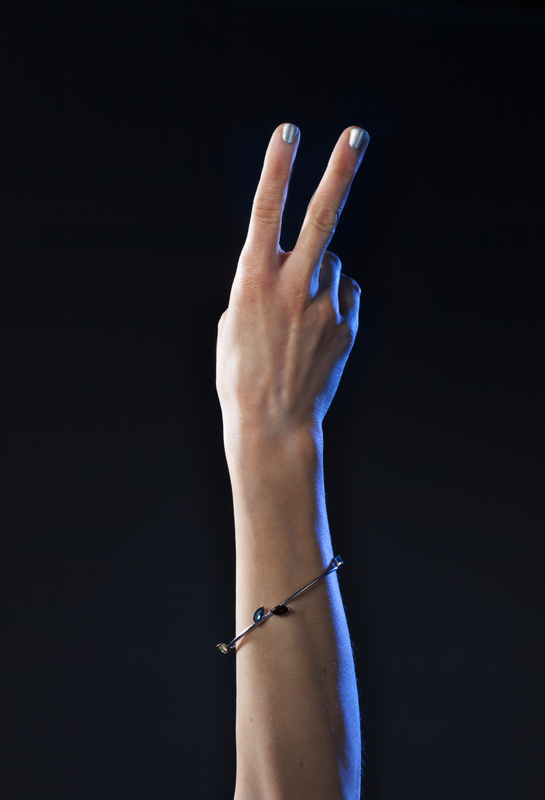 It can also be worn on the upper part of the forearm to create an oriental elegance. The oval bangle is part of the Twigs Collection, an abstract interpretation of twigs and leaves. The curved silver twigs , decorated with gemstones are the epitome of elegance and feminity. 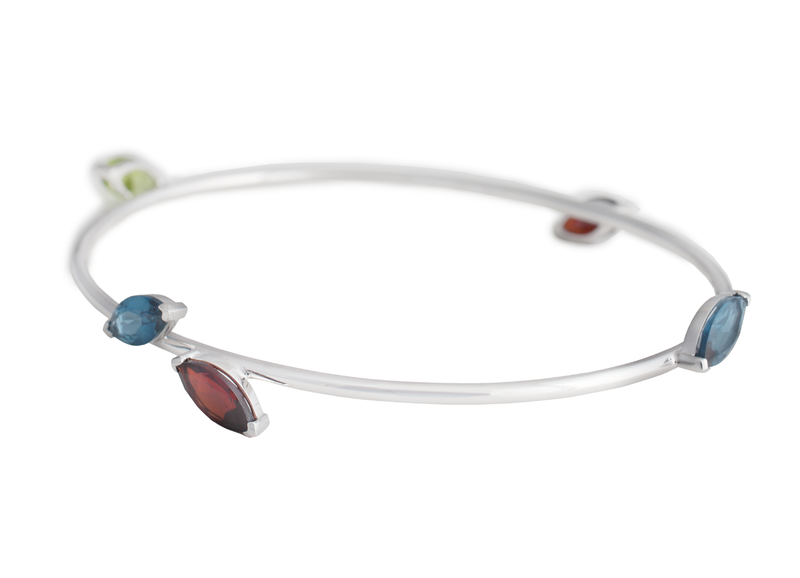 The London blue Topas, the green Olivine and the red Garnet represent the colourful diversity in nature. 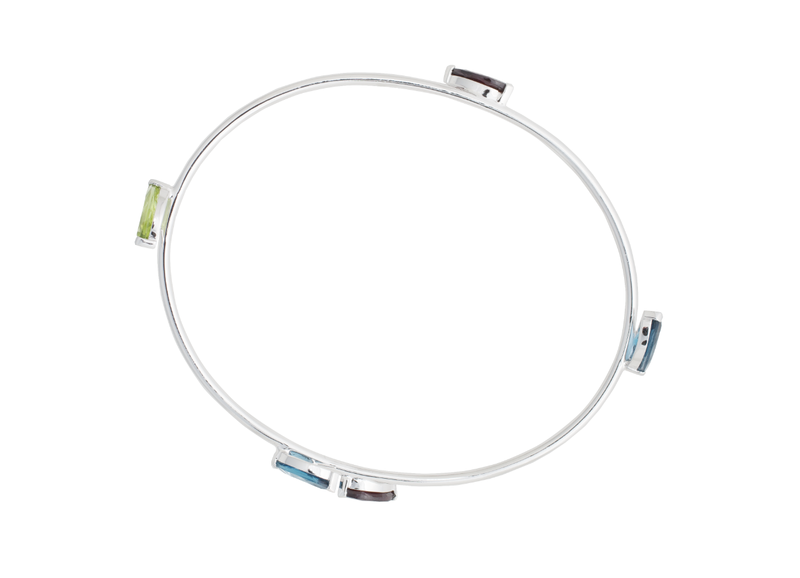 MATERIALS Rhodanized sterling silver Stones: London blue topas, green olivine, red garnet MEASUREMENTS The bangle is formed in oval shape to guarantee a comfortable fitting. The width is 6cm and the length is 7,5cm, which makes it a loose style. The silver wire has a width of 2mm The stones have a size of 10x5mm CARE The silver is rhodanized to protect it from oxidation, to keep the beautiful shine and make it more resilient against scratches. Anyhow, this delicate piece of jewelry is made of precious materials, which deserve a careful handling. Stones and silver should be protected against any kind of chemicals, including soaps. The jewelry should be stored seperately to prevent it from scratching, the best is to keep the jewelry in the original box after wearing.